Un Chien Andalou, the debut film of Buñuel in collaboration with Dali, is regarded as the passport to surrealism. The main purpose of this scandalous short film was to shock and startle the audience. Some experts even declared that it is the only short film worthy enough to be labeled as ‘surrealist’. For Spanish auteur Luis Buñuel, scandal was a potent agent of revolution, a weapon capable of exposing social iniquities. Through his films, Buñuel was constantly revolting against the society he despised. He upended the conventions of film narrative and created a new medium, where every action was justifiable, where everything made sense. Buñuel wasn’t the pioneer of the surrealist movement, but he was definitely central figure. 1. Un Chien Andalou is a convergence of two sensibilities, a fusion between two sparks of madness- Luis Buñuel and Salvador Dali. The idea of the movie itself came from a conversation they had about dreams. Buñuel said he had dreamt about a long tapering cloud, slicing the moon in half, like a razor blade slicing through an eye. Dali had a dream about a hand crawling with ants. And that’s how it started. 2. The script of Un Chien Andalou was completed in less than a week. 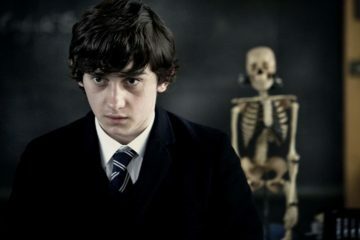 The filming took two weeks. There were only five to six people involved, and for most of the time, they were clueless. 3. Un Chien Andalou is probably the most over-analyzed film in the history of cinema, which goes against very nature of the movie, as the only rule the duo followed while writing was to eliminate every image or idea that might lend itself to a rational explanation of any kind. 4. Buñuel was dubious that any ordinary production company would support such an original and provocative movie. Hence, the movie was financed by his mother. Having spent almost half of the budget in nightclubs, Buñuel came to senses and finally started filming. 5. Dali arrived on set in very last days of shooting and spent most of his time pouring wax into the eyes of stuffed donkeys. He also starred in the movie as one of the Marist Brothers, who in one scene, are painfully dragged about by Batcheff. 6. The most notorious scene of slitting the eye was achieved by strong lighting. Fortunately, it wasn’t a human eye, but an eye of a dead calf. The eye-slitting scene is said to be first scene ever shot by Buñuel. 7. Un Chien Andalou premièred at Studio des Ursulines, Paris on 6th June 1929. It was attended by well-established artists (which included Picasso, Le Corbusier, Cocteau, Christian Bérard, and Georges Auric) and surrealist group. Buñuel was so nervous; he hid behind the screen with stones in his pocket, ready to throw at the audience in case of disaster. Fortunately, stones weren’t necessary, for film received prolonged applause. 8. After its triumphant premiere, Un Chien Andalou was bought by Mauclaire of Studio 28. The film ran successfully for about eight months, which earned Buñuel some eight thousand francs. 9. 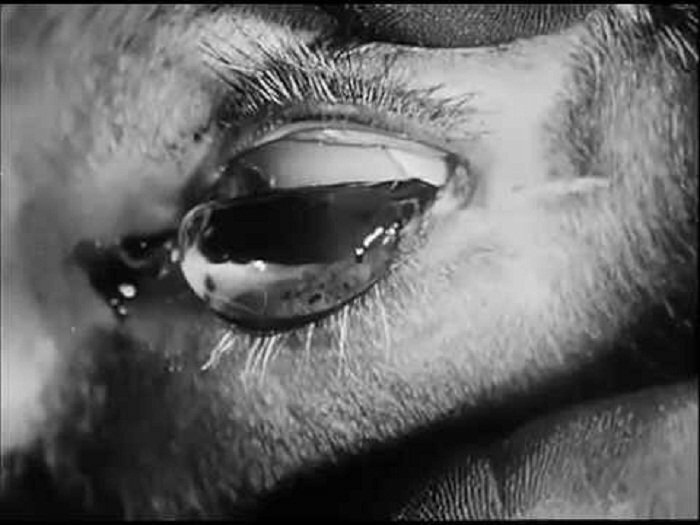 Despite its huge success, Un Chien Andalou was criticized by both- surrealists and moviegoers. The cruel and obscene imagery of movie invited countless threats and insults. The surrealist group brought Buñuel to trial, for violating terms. Also, the fact that such a scandalous movie was a commercial hit worked in his against. 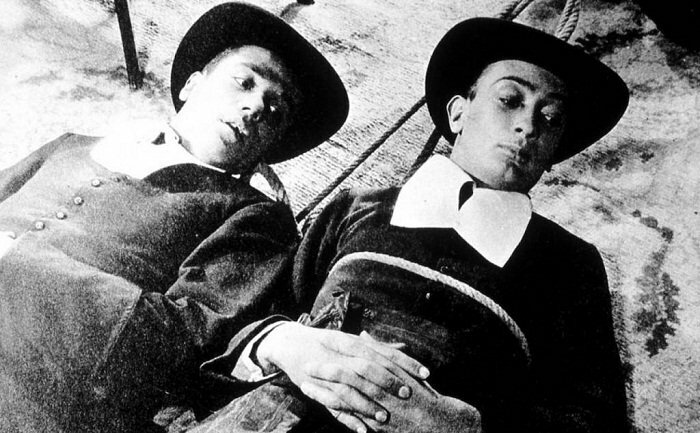 Threatened by excessive accusations and moral dilemma, Buñuel, at one point, willingly decided to burn the negatives of his film, but surprisingly surrealists vetoed his suggestion. 10. Tragically, both the lead actors committed suicide in following years. Pierre Batcheff killed himself with an overdose of Veronal in 1932. Simone Mareuil doused in gasoline and burnt herself to death in a public square in 1954. Un Chien Andalou Links: IMDb, Wikipedia.